Choosing a word for the year has been near and dear to my heart for a few years now. 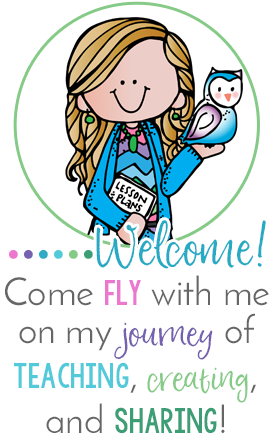 Two years ago I chose "Fly", and I strongly feel that word helped me to have the courage to begin my blog and creating and sharing on TpT. It has been on my mind for about two weeks that I needed to figure out my word for this year. I had to remind myself that the word chooses me, I don't choose it, and it just hadn't come to me yet. I think I wasn't ready to let go of my 2014 word- Believe. Believe was the perfect word for this year. I finally had the courage to believe that everything would be OK if I put in a transfer to my dream school. Shortly after January, I did just that, and ended up transferring schools. For 2015 I chose mindful because I need be reminded to stay present and focused. Life gets so full and overwhelming, and sometimes I take on more than I should. I need to remain mindful and realistic about what I can comfortably accomplish and what I need to let go of. 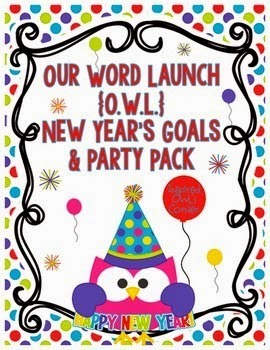 My New Year's One Word Launch Goals and Party Pack follows this one word concept for use in your classroom. 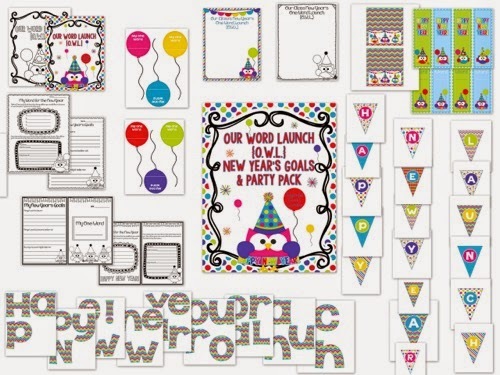 I have included directions for helping your students find their one word for the year, your choice of worksheets or a one-word journal, bookmarks, treat bag toppers, letters, banners, and balloons for a one word launch bulletin board. Click on the picture below if you would like to see it. It is on sale for the rest of the week! If you've stuck around this long, you deserve a freebie! As you can see from above I throw my kiddos a party after we return from Winter Break do help cure the post-holiday blues. 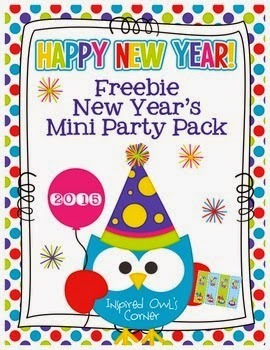 You can click on the picture below to see my Freebie New Year's Mini Party Pack below. There are some fun printables that will hopefully help beat the back to school blues! 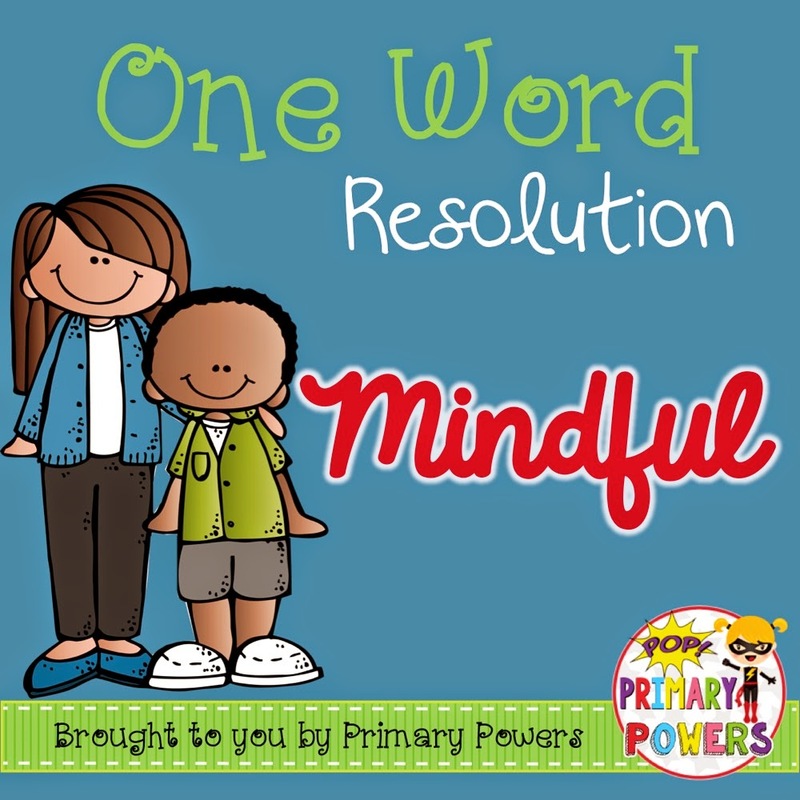 What will your word be for 2015? You still have time to decide! Be sure to check back here on January 1st, 2015 for a fun giveaway! Still on holidays but I've been thinking about OLW and want to do this when we go back next week. Thanks for the freebie too. Love each of your words and am always inspired by you !! I posted last night about my word for 2015! Like you, I'm having a hard time letting go of this year's word, but I know that it has left deep grooves in my heart and soul. Cute freebie! I really enjoy how you carried this into your classroom. I plan to do the same thing! Thanks!